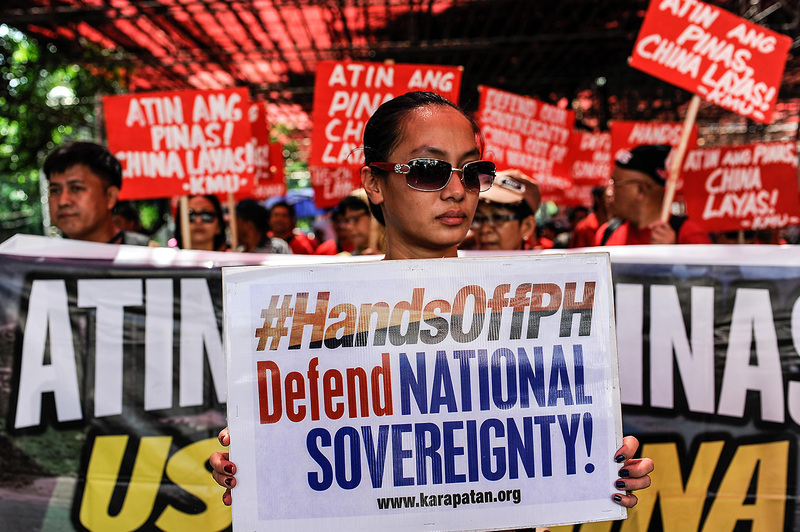 Anti-China protestors came out at a rally against China’s territorial claims in the group of Spratly islands in the South China Sea, in front of the Chinese Consulate, July 12, 2016, Makati, Philippines. The International Tribunal of the Permanent Court of Arbitration ruled against China over the dispute. International responses to the tribunal’s ruling in the South China Sea have raised questions about the stability of the Asia-Pacific region and what roles the United States and China have in it. In this podcast, Paul Haenle and Elizabeth Economy discuss the roots of increased instability in East Asia, including tension surrounding the South China Sea and cross-strait relations, and how these issues fit into a broader evaluation of President Obama’s legacy in the region. Economy argues that despite Beijing’s vocal opposition to the tribunal’s ruling, China wishes to avoid conflict and should seek off-ramps to prevent escalation through joint projects with regional neighbors. Meanwhile, Economy says, the United States should continue to strengthen its regional partners’ maritime capabilities while ensuring that disagreements over the ruling do not evolve into a bilateral standoff between the United States and China. On Taiwan, she discusses mainland China’s distrust of President Tsai and the dangers of undermining cross-strait relations. Economy believes the United States’ rebalance to Asia is a necessary response to China’s new assertive foreign policy. While the rebalance has been successful in some areas, she says it has yet to be fully implemented, which can be seen through the ongoing TPP negotiations.